The U.S. Senate’s rollback of some Dodd-Frank’s banking rules appears to be a good sign for small banks and small-business owners. Small banks would be permitted to exclude their cash balances as they determine how much money to keep on hand in reserve. 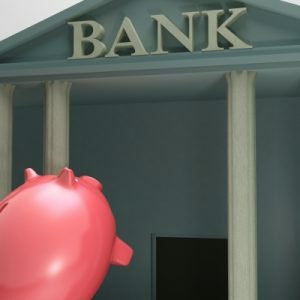 At issue has been over-regulation in the wake of the Great Recession, which hurt small banks. This means small banks would allowed to operate at higher limits in lending to provide more capital to small businesses. Senate Bill 2155 now goes to the House of Representatives. Small business owners have been facing unnecessary financial risks because they increasingly seek debt consolidation and loan refinancing as the result of high interest rates and onerous fees, according to a small-business lender. Lender Quarterspot reported, for example, that nearly 25 percent of the $10 million in aggregate loan requests it received from July 7 to August 7 in 2013 were for loan consolidation and refinancing. But in refinancing their old loans, those businesses face “effective interest rates well above triple digit percentages” said the company. “There is obviously pent-up demand for business loan refinancing, but this also shows that many small business owners are entering into their original loan agreements without fully understanding the terms and implications,” said Adam Cohen, CEO and co-founder of QuarterSpot (http://www.quarterspot.com). “We want to educate all owners so that they understand the difference between good and bad loans, and are able to secure the best possible loan for their business,” he asserted. He warns borrowers to ignore advertised rates and to calculate the true cost of loans. Instead, he said business owners should continue to pay on the original until paid off, and get another loan if more funding is needed. Many press releases and studies published by organizations are self-serving, so it’s important to have a healthy skepticism. That’s my first thought about small-business lender Quarterspot. Advanta has been repeatedly accused of bilking countless customers with predatory interest rates at higher than 30 percent for dubious reasons, and abruptly cutting credit lines without warning to unsuspecting businesses long before the recession was acknowledged by economists. Little wonder about Advanta’s downfall. Its business customers couldn’t pay their credit card bills. Advanta and others also wrecked the personal credit of entrepreneurs by requiring personal loan guarantees and Social Security numbers. So Mr. Cohen’s representations hit a nerve with me. He claims QuarterSpot can reduce borrowing costs by as much as 85 percent when compared to traditional lenders. He says QuarterSpot does not require small business owners to provide personal loan guarantees or to undergo personal credit checks. Borrowers can apply for a loan in five minutes or less and receive funding in as little as 24 hours for loans ranging from $5,000 to more than $1 million. Primer for Best Practices in Preparing Financial Statements – A good financial system is vital for your business. Not only will a properly prepared financial statement tell you what’s transpired in your business, it will give you a snapshot regarding your future. Budgeting Basics for a Micro Business – For entrepreneurs, often the most difficult part of launching a business is preparing financial projections. It may not be the most enjoyable task, but budgeting is imperative for maximizing performance. Accounting / Finance – Why and How to Determine Your Break-Even Point – Uncertainty can kill hope in business. Best practices in management mean having the right information to alleviate uncertainty in business. For that you need the right tools.